Consumers are watching more online videos than ever before. And it’s more than just viral cute cat videos. Life insurance is an unfamiliar subject for many and savvy consumers are seeking out more information. How can you help your prospect and current clients learn more about insurance-related information in a video format? Video is beneficial for consumers who absorb and comprehend information better when it is presented visually. Learning by watching reinforces what consumers have previously read and helps them remember it. According to statistics compiled by Koozai.com, videos increase viewers’ understanding by 74%, and they are 80% more likely to remember it. In addition to your traditional ways of communicating with clients, video resources may help you effectively reach even more people. 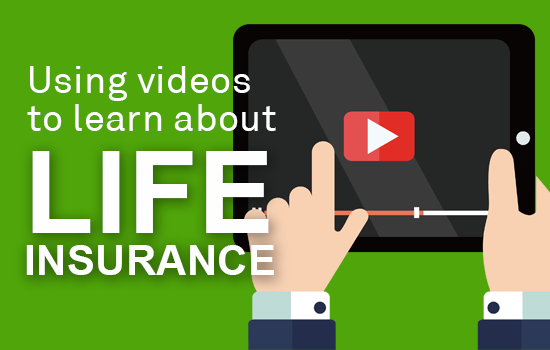 A Google search of “how to learn more about life insurance” renders more than 27 million video results. This huge number illustrates there is a demand for this question to be answered. The 2018 Life Insurance Barometer study revealed that half of all adults sought life insurance information online in 2017. Since they are out there looking, help ensure your clients are finding quality video content. THE MERE MENTION OF THE WORD “VIDEO” IN YOUR EMAIL SUBJECT LINE CAN INCREASE OPEN RATES BY 19%. Industry associations: Life Happens is a nonprofit organization dedicated to education about personal financial responsibility through life insurance and related products. Their large library of videos highlights true stories of people who’ve benefitted from sound insurance planning. Plus they have a number of short videos that give a quick overview of how insurance fits into an overall financial plan. Your favorites: Do the Google search above. Which ones did you find the most educational and informative? Compile a list of links and share with clients in person, via email, or posting on your social sites. Videos are a nice complement to your existing relationship-building communication efforts. Carrier and product specific: Know what video resources are available from your home office or the other insurance companies that you promote. Provide these to your clients proactively to save them the step of having to find it themselves. ThinkAdvisor.com created a list of the top 10 most watched videos, posted within the past year, which came up when “life insurance” was searched on YouTube. The ExamOne YouTube page has been redesigned so you can easily find the right video resource for your applicants’ needs. Plus other videos are available for you on topics like online ordering and other ExamOne solutions that can help you service your clients more quickly and efficiently. 90% OF CUSTOMERS SAID VIDEOS HELPED THEM MAKE BUYING DECISIONS. You don’t have to star in your own life insurance video to use this effective tool to help grow your business. Educating yourself on the many options available and then sharing the most appropriate content for your clients’ needs will make you a star to them.